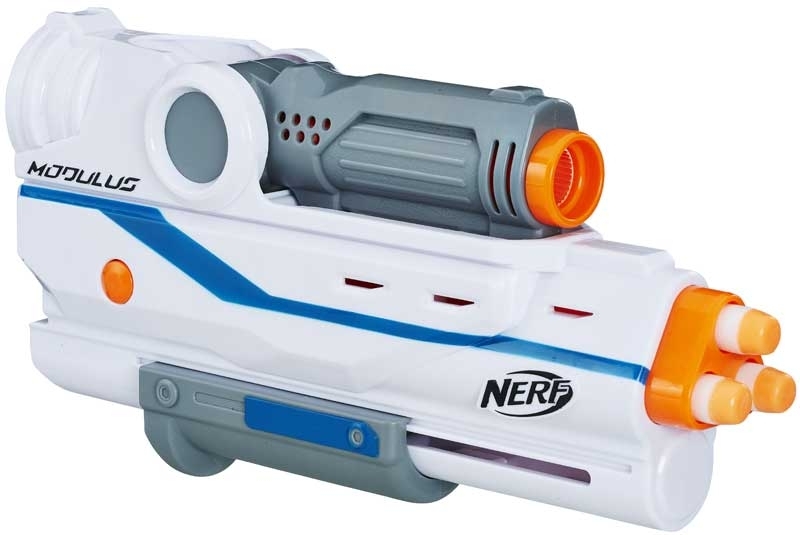 Kids can upgrade their firepower when they combine the Nerf Modulus Mediator Stock and Nerf Modulus Mediator Barrel with the Modulus Mediator blaster, to create the Mediator XL. 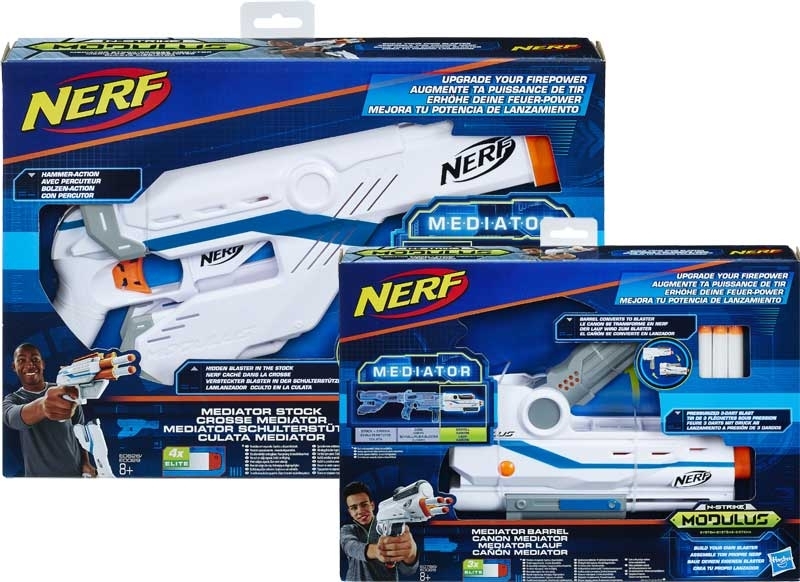 The Mediator Barrel converts to a blaster, has a pressurized 3-dart blast, and comes with 3 darts. 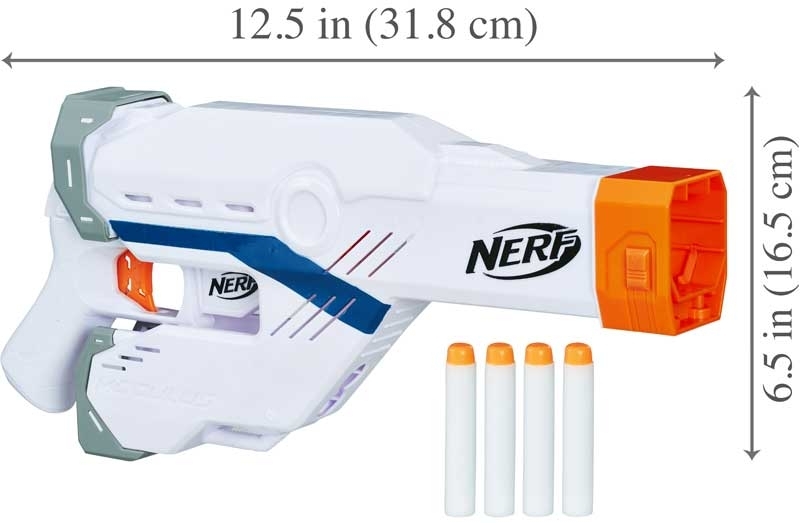 The Stock comes with a single-fire blaster, has storage for the 2 darts that come with the Stock, and can be clipped onto a belt to use a holster. 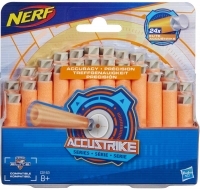 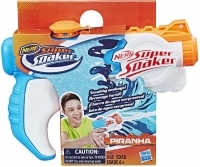 With the entire Nerf Modulus system, more than 1000 combinations are possible!